How we deal with differences is just as important as what they are. People at loggerheads over issues are nothing new for Portland. But this city and other communities have made efforts in the last decade or two to create forums where people can work on differences over hard choices about housing, social services and the environment – not just shout at each other. Government at the state level in Maine, as in Washington, D.C., has unfortunately not been able to do likewise for some time. Now there is an opportunity to get back to the business of the future of our state. As a longtime consensus-building trainer, I know that when just one of the parties needed for action will not do the hard work of problem-solving, others must often fight for their interests. But you don’t solve complex problems or create new value that way. Facing the future by grasping for the past is a false promise. Civil discourse and good negotiation over tough issues produce better and creative outcomes, and they also build the capacity and willingness to keep on doing so. How we deal with differences is just as important as what they are. Engaged state government can facilitate this. In the 1990s, many states pursued helpful tools with dispute resolution centers, ombudsman offices and coalition-building processes within government and with outside partners willing to engage. Much of that has been swept away in a new century in which complexity has caught up with us but simplistic solutions dominate attention. 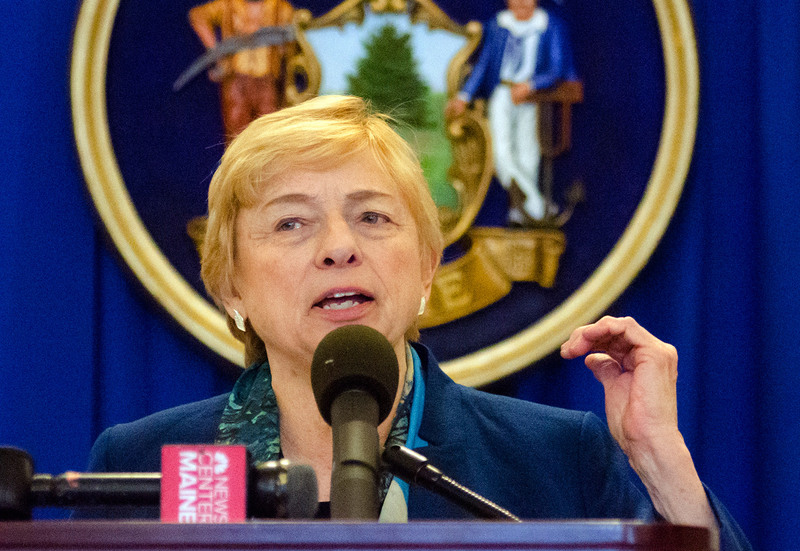 Our new governor, Janet Mills, has made immediate priorities for health insurance that means life or death for many Mainers. In the years ahead, other challenges will require sustained intervention, collaboration and mutual adjustment with willing partners, such as keeping Maine’s rural communities viable; addressing the jobs-skills mismatch; attracting the workforce needed for new enterprises; supporting older citizens’ healthful lives; creating affordable housing and climate-change adaptation. In her inaugural address, Mills spoke to the need for collaboration focused on the future and innovation. This will require consensus and partnering processes to address chronic issues in creative ways, including how to pay for the crucial, smart leveraging that state government can provide. Maine has shown how to do this in the past; an early-century statewide process to leverage Maine’s premier quality of place as an economic engine was one, cut short by the previous administration. Local innovation also can be encouraged by state partnership. Much invention takes place on the municipal level, where government and a spectrum of citizens often work through differences and create value, and the rewards can be great. For example, southern Maine communities are organizing a renewable-energy coalition, and Portland and South Portland are partnering on joint climate action planning for a shared coastline. But such efforts need to be fostered beyond the wealthiest part of the state. State government plays an added role in leveraging local creativity and solutions through lending for the future. Maine has good bond-funded institutions that can do this – the Finance Authority of Maine, the State Housing Authority, the Municipal Bond Bank, Land for Maine’s Future and Efficiency Maine – which may now once more get the support they deserve. Making maximum use of these tools to craft partnerships, often combining public, nonprofit and private resources, requires collaboration, including across and among these public programs. CEO Jeff Diehl of the widely admired Rhode Island Infrastructure Bank pointed out at its 2018 Statewide Summit that their one-stop-shop approach to working across funding sources and helping find opportunities lets them enable innovation, not just react to problems. Maine no longer has a state planning office to help clarify and pursue our shared future, as part of the executive branch that fostered the neglect of many of the investment institutions mentioned above. Maybe we should have always called it an office of the future, as Mills suggests. And that office would be a good place to foster and encourage consensus-building approaches, because Maine’s future depends on them.